You will all have heard of the expression “from a tiny acorn a mighty acorn grows”. A wordsmiths way of telling us that the biggest things have the tiniest start in life. Like ideas from example. At some point a seed is planted in your mind and starts to grow. This natural thought process is the way we function, and all the world's greatest thoughts and inspirations started life as that tiny seed. These business ecards perfectly demonstrates this ethos and the image is of a tiny seedling, which has just forced its way through the earth. With its roots still inside the side and itself very fragile, this perfectly demonstrates how ideas form, the important thing is what we do with them. The workplace is a great place for sharing ideas, and if you know somebody through work who has had a brilliant idea but is unsure whether to follow it through, receiving this ecard could make all the difference. 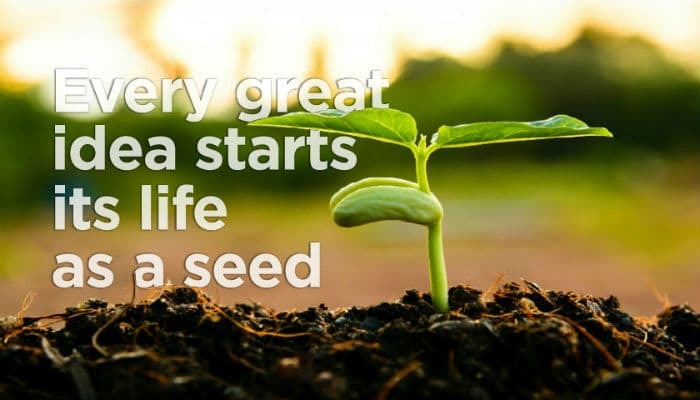 The message on the front of the card reads “Every great idea starts its life as a seed” and you can also add your own message to make it personal to the recipient. Everyone needs to know someone believes in them, and this is exactly the message this ecard purveys. Would you like to really impress your clients this Christmas holiday season? Of course you would so don’t waste any more time, pop over and see how our business holiday ecards can deliver a wow factor.